If you died tomorrow, who would get your stuff? What song do you want played at your funeral? The government will decide for you, if you do not have a will (everything but the music, that is). Parents are not the only ones who need to have a will. Basically, anyone with financial obligations or property – including digital property like Gmail or Facebook accounts – should have one. Founders especially need one, even if they are single and young. So with all this need, why do hundreds of thousands of Americans die every year without a will? Cost. Most feel that getting a will is too complicated and costly. The West Coast-based startup FairDocument is solving this challenge. Traditionally, a person would look to a lawyer to help draft a will. Lawyers struggle, too, in trying to find clients and offer them services that are reasonably priced. FairDocument has developed a blended solution that makes life easier for consumers and lawyers in finding each other, working cost effectively, and ultimately getting what the consumer wants and needs – a will that is tailor-made and affordable. The best part is that the consumer will know how much it costs before they have to commit to working with the lawyer. Consumers describe their need and life situation, through a questionnaire, which FairDocument analyzes and shares with its network of lawyers. Once the lawyers review it, they submit a fee quote, and the consumer reviews the quotes and lawyers. This gives the consumer both a choice in price and in who they want to work with. And the cost is much less than going directly to a lawyer. 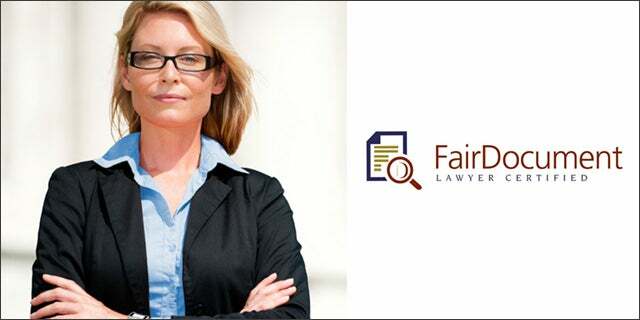 For the lawyer, FairDocument not only makes finding qualified clients easy, but also adds substantial automation and technology to the lawyer’s business; these features work to lower the overall costs of the lawyer’s services. To borrow from the startup world, the customer acquisition cost for lawyers is typically quite high. Traditionally, a lawyer has to advertise, rely on referrals, or directly solicit in order to find clients. This is costly both in terms of real costs (advertising) and time costs (talking to many, to find a few). As for the other two technology-based legal platforms, LegalZoom and RocketLawyer, FairDocument is different in that it works with lawyers rather than trying to replace them, which creates an attorney-client relationship. This fundamental and powerful characteristic benefits customers greatly by allowing for free and frank exchange of information, which will only strengthen and enhance the lawyer’s work on behalf of their client. By serving both lawyers and customers, FairDocument seeks to narrow the gap that exists in the market between these two groups. It also demonstrates that technology does not always have to disrupt, but can enable instead. Either way, the legal markets can benefit from both.